I keep mixing my marker drawings with watercolor in some way. It’s fun and I enjoy the softness of the watercolor backgrounds. This little girl has some great freckles. 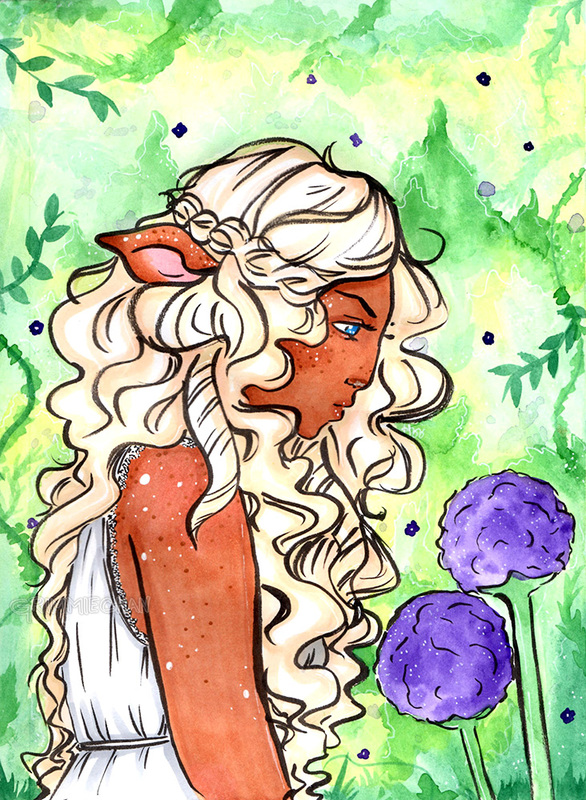 I actually think her faun nose is pretty cute too.